One of the largest democracies of the world, India is a country of 1.25 billion people. While the GDP of the country is fast growing at 8.2 per cent, 67 per cent of the country’s population still lives in rural areas, and is dependent on public schemes and entitlements for some of their most basic needs. It is this vast population that also makes India a country of great paradoxes. India has one of the largest populations of connected individuals with over 400 million Internet users, but the International Telecommunications Union (ITU) puts Internet penetration in India at about 30 per cent. Given the vast population of India, we are the country with the highest number of Internet users, highest number of Facebook users and the highest number of WhatsApp users. But we’re still a country where only 30% of the population is connected, most of which is located in urban spaces of India. It was this rural-urban divide, which was actually even wider back in 2002, that led to the establishment of Digital Empowerment Foundation (DEF). In the last 16 years, DEF has been working tirelessly enabling access to digital infrastructure in rural and remote locations of India, providing digital literacy to marginalised communities, facilitating access to government schemes and entitlements and linking rural entrepreneurs with global markets, among others. However, the organisation’s responsibilities don’t just end there. As it takes the ownership of taking rural populations online as consumers and producers of information, it also realises its accountability in ensuring that these consumers and producers of information have the ability to not just access but also analyse, understand and question the content through Media & Information Literacy (MIL). At the same time, DEF works in the area of research and advocacy, advocating for policy changes in an effort to improve proliferation of Internet access and safeguarding Internet Rights. It was this work in the area of MIL, particularly tackling misinformation and hate speech online, and Internet Research that aligned the vision of DEF with that of Jigsaw; and they invited DEF team member Udita Chaturvedi for their User Experience Research Fellowship at the Jigsaw office in New York. Jigsaw is a technology incubator and a subsidiary of Alphabet (Google) that aims to tackle some of the key geopolitical issues that are now riding on technology. 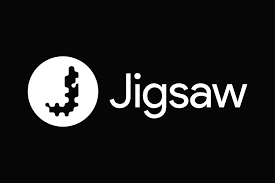 Jigsaw is primarily made up of five project teams that work on online harassment, disinformation, digital security, digital attacks and online privacy. While the fellowship required the DEF team member me to focus on disinformation, she also contributed to the company’s work in the area of online harassment, digital attacks and digital security scenarios in India as well. This was because of the scope of work undertaken by DEF across its six programmatic area in India. One of the most recent initiatives of DEF that aligns with Jigsaw has been Fighting Fake News project, which aims to train 35,000 persons across Tier III cities and villages in identifying and verifying fake news. Fighting Fake News, a project of DEF supported by WhatsApp, for which Ms. Chaturvedi is one of the trainers, focuses on organising workshops for influencers at the last time—police officials, district administration, college teachers and students—so that they can create a ripple effect of awareness in their respective communities. Over the period of the four-weeks in New York, the DEF team member closely worked as a Fellow for Jigsaw, sharing status, need and impact of misinformation in India through social media platforms, online harassment and hate speech in the country, denial of service attacks in the country, efforts in the area of digital security, and existing cyber policies in India. She also looked at the products designed by Jigsaw or those under construction to share constructive feedback and insights on the solutions (such as Perspective, Shield, Outline and Conversation AI, among others), in an effort to make them more suitable for developing countries like India, where literacy levels are low and English is not the primary spoken language. What was particularly impressive about Jigsaw was their non-profit approach to technological solutions. Their intention was not to increase user base for their various products or services, but to genuinely fight problems that are plaguing the world. Working with their tech experts, policy experts and researchers, Ms. Chaturvedi was able to capture sound understanding of their problem solving approach and share insights that would help strengthen their solutions for a more global audience.